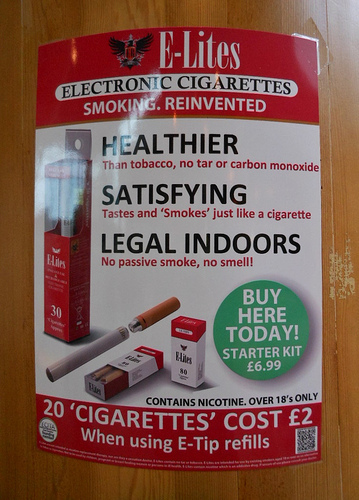 You are here: Home / Health / Will Plain Cigarette Packaging Really Stop People Smoking? Will Plain Cigarette Packaging Really Stop People Smoking? This article looks at the conclusion of a study into whether plain cigarette packaging will help to lower the number of smokers in the United Kingdom. The study into whether cigarettes should be packaged in plain coloured boxes has been concluded in the United Kingdom. There will be a decision made once the Government and advisors have been able to consider all of the evidence and responses they have gathered, however unsurprisingly this study has already proven controversial. Earlier this year, legislation came into force that banned the display of tobacco products in large stores, with smaller stores such as local off-licences being affected by the ban from 2015 onwards. That covers off why the study has been commissioned and completed in one sense, but does not really answer the question as to WHY the study was commissioned and completed. Confused? So, apparently, are the UK Government. I am not sure where MP’s shop, however if they have been to a supermarket in the last few months they would have noticed that you cannot, as decreed by law, visibly see any of the cigarettes that are on sale in these stores. If one cannot see the cigarette packets in question then does it really matter what colour they are? It is said that the point of this is to prevent young people from starting to smoke, but it is not as if people walk along the street waving cigarette packets above their heads anyway, is it? This really does seem a case of trying to initiate another method of stopping people from smoking, despite the problem of “attractive displays” seemingly already dealt with, and needing time before an observation can be made around whether it is successful. Tobacco advertising is banned, smoking indoors is banned, and smoking at many public outdoor places is also banned in the UK. What is telling about this current potential legislation is that people are arguing over whether it will make a difference, or that the Government are interfering in people’s lives again, yet not questioning how much money it has cost to complete this study, or how much it will cost to compile the report. With attitudes towards smoking having hardened to such a degree, there will continue to be a misdirection of resources into deciding what to do about reducing smoking, rather than seeing what is cost effective and the best way to actually set about doing it! Whatever is the outcome of this study, as with everything it will take many years for the results to be clear, as well as doubtless much more wasted public money on seemingly unnecessary consultations and studies. Jasper and Jasper are a well-known manufacturer in the electronic cigarettes uk.